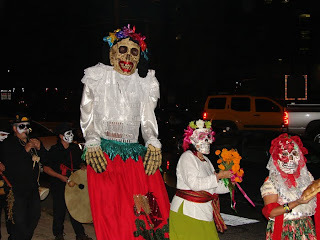 We had a great time last week, November 6, at the Muertitos Fest at Say Si in San Antonio. This wonderful organization has been making this fest for three years and they showed the incredible art work of their students during this fest. 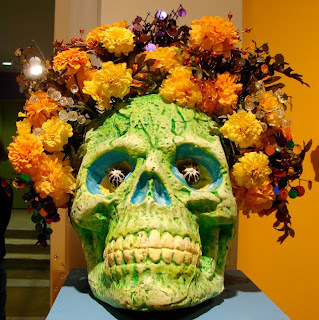 All the work and exhibitions are related to the day of the dead in Mexico. 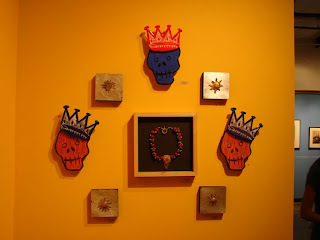 My students had their pieces exhibited in the gallery and I was happy to see that almost all the pieces were sold ;-}. They did an amazing job ! If you live in the area you must have to come visit them and make your plans for next year fest! 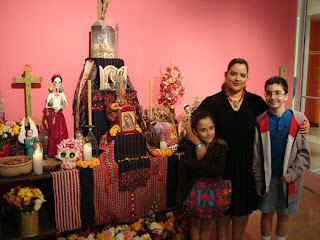 My kids were very happy to see all the wonderful art and the altars. I enjoyed telling them about the meaning of every piece they saw ! 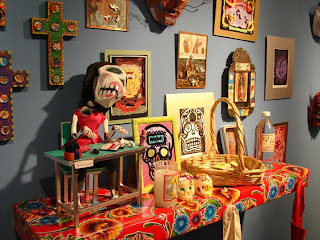 More work by the talented students at Say Si. 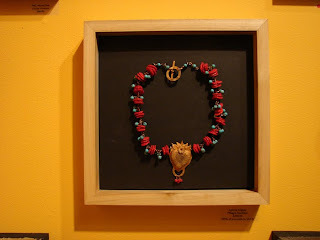 Some of my students work and my necklace in the gallery. I Love this skull !!!!!!! how wonderful! i love the vibrant colors, so pretty! yes ;-} It was a fun experience to share with my kids. 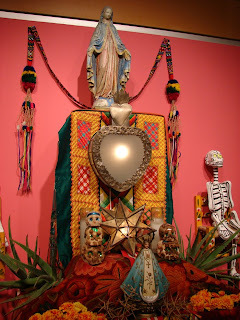 It was the first time they saw a lot of the art pieces related to day of the dead. Hi there- Wow! Your art is very cool. I am loving the clay. I would like to learn more about this. I love your necklace too! 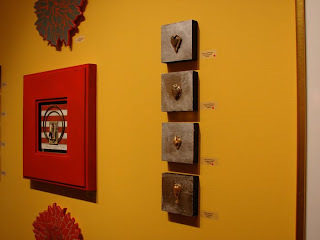 Working with metal clay is awesome, there are a lot of sites that can give you a lot of information. Here is one page that is very new and you can have a great time looking at it. I am in the artist section ;-}. If you have any question I will be happy to help you !